AVer Information Inc. will be debuting three new products at ISTE in Chicago, IL. The company will be introducing a new line of interactive flat panels, a charging cabinet, and document camera. stated Raillin Wirjo Sr. Software Product Manager of AVer Information Inc. 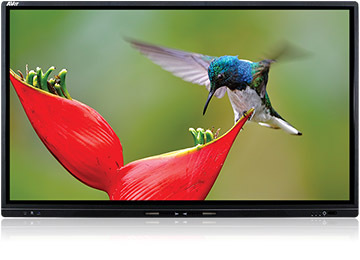 The CP3 Series Interactive Flat panel provides a rich user experience with features to increase student engagement and personalize learning. Comparable to having a large tablet on the wall, teachers and students can easily navigate the CP3 Series and access thousands of apps for education to enhance any subject. Equipped with an upgradeable Android Module, its future proof to easily upgrade as needed without having to replace the entire panel. Built-in native screen share technology allows for students to instantly share their screen, or teachers can use the CP3 Series wireless AVer doc cam integration to share a student’s project with the entire class. 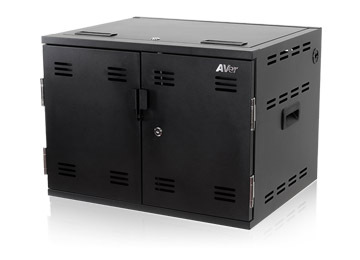 In addition to premiering the CP3 Series at ISTE, AVer will also be showing their new X12 charging cabinet. It’s perfect for classrooms looking for a compact charging solution with a micro footprint. The X12 can manage 12 devices fitting Chromebooks, laptops, and tablets with screens up to 17”. It’s a fixed charging solution that can be mounted, stacked, or stored on a tabletop making it truly a versatile charging solution. Safely store and manage devices for any learning environment with the X12 charging cabinet. stated Jono Ng, Senior Validation Manager at AVer Information Inc.
To round out AVer’s product debuts at ISTE, they are launching the F15-5M document camera. 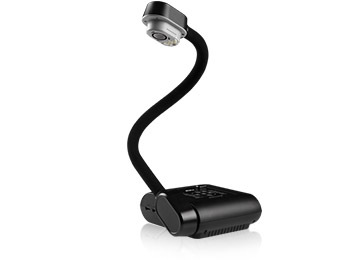 It’s a new addition to the current line of portable FlexArm document cameras. The F15-5M’s digital zoom gives teachers the ability to zoom in on every detail and capture all materials from textbooks, or 3D objects to stream for the entire class to see. Tools are easily accessible and adjust images in real-time with the on-screen annotation and one-touch recording to create an interactive learning experience. Live product demos of all three products will take place at ISTE in Chicago, IL. Visit AVer at booth #1232 to be the first to see these products!